When it comes to cheering for teams in college sports, we are a house divided. Four out of my five boy are BYU Cougar fans (completely brainwashed by my brothers and nephews) and my husband and I along with the other son (the only smart one), are Utah Utes fan. Buuuut, when it comes to food, we are definitely not divided! 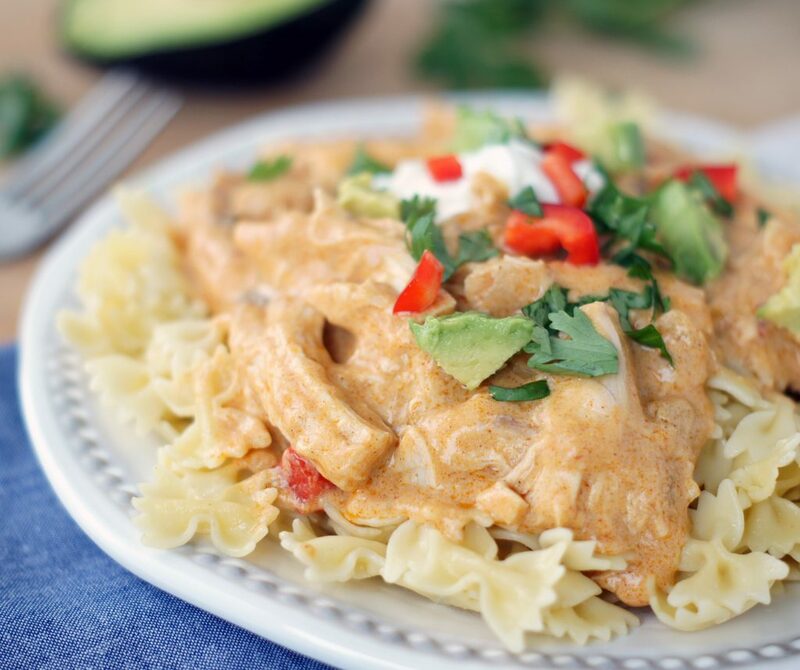 We are all Mexican and Italian fans so this Chicken Enchilada Pasta scored big at our house because it’s the best of both those worlds. This is one of the best pasta dishes I’ve ever tasted. Completely simple to make and comes together in no time! To make it even simpler, you could use a rotisserie chicken which I will try next time. A delicious spin on Mexican and Italian combined! So simple to make and absolutely delicious! Cook chicken, drain, and shred (you could also use a rotisserie chicken). Chop the onion and red pepper. Next, add cooked chicken, green chiles, cumin, chili powder, salt, & enchilada sauces. Let sauce simmer for about 8-10 minutes. After it simmers, add cheese and stir until the cheese is melted and heated through. Next, add in the sour cream and cook on low heat to avoid the sour cream curdling. Stir until well mixed and heated through. Drain pasta & return to pot. Pour sauce over pasta and stir well to evenly coat pasta. 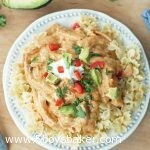 Serve warm and garnish with avocado, tomato, green onion, and a dollop of sour cream. Thanks Liz and you’re welcome! Thanks Mel! It’s so, so good! 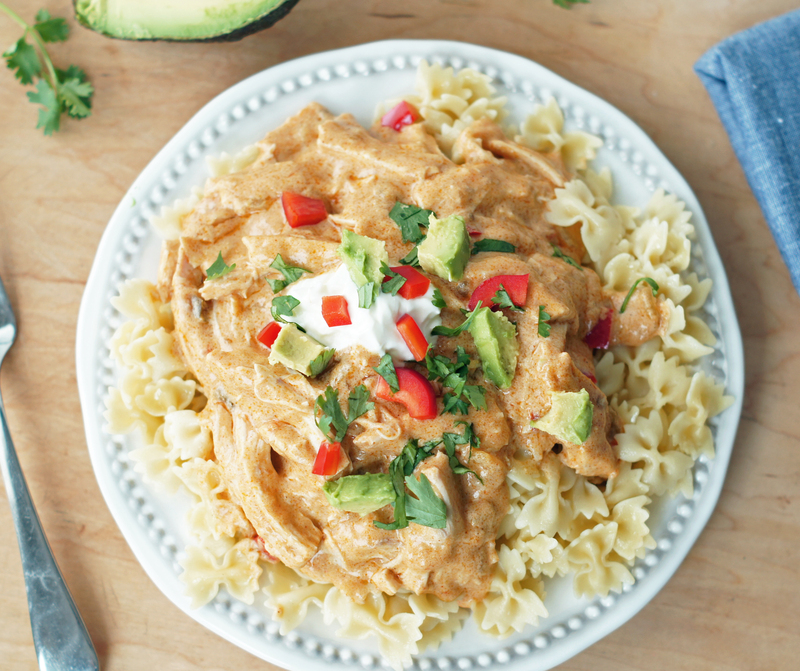 We love any type of mexican food so this pasta was just perfect for us. It was easy and sooooo delicious. I had enough for leftovers and it was even good a couple days later!! I love easy recipes and I love delicious recipes and this was a win win for us!! !